In the previous article, I began to list the 10 most common causes of fatigue I see in my practice. Fatigue may sound like “no big deal, get some rest” until you experience it, but I know the huge physical, emotional and financial costs it can impose on people who are unable to get proper medical help. We take ongoing fatigue issues very seriously in our practice, and work diligently to find the underlying causes. Chronic infections, such as pneumonia, or inflammation can certainly result in fatigue over time. Reducing inflammation and helping your body fight bacterial or viral infections can provide relief. Of course, there are a wide variety of conditions that fall into this area, but a determined physician will help you identify the specific causes of fatigue that apply to you. It seems obvious, but poor sleep can cause fatigue. However, we don’t always know when we’re sleeping poorly, and that’s where sleep apnea testing can really help. During the testing, you’re monitored for sleep and breathing interruptions. If your body is not able to reach states of deep, restorative sleep, testing can indicate the issue and then treatment can commence. An under-functioning adrenal gland can be one of the harder-to-identify causes of fatigue, but saliva testing for cortisol levels is one of the tools that can help me figure out your fatigue issues. It’s also important for a doctor to listen – anxiety, stress, cravings, hypervigilance and other clues can help with an adrenal fatigue diagnosis. There are herbal remedies, nutrients, lifestyle changes and other treatments that can assist with adrenal issues which are triggering fatigue. 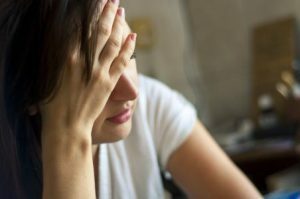 In our part one of this article on the causes of fatigue, we discussed how low red blood cell counts can cause anemia, one of the issues we look for. Low white blood cell count, sometimes called Leukopenia, can also be a problem when it comes to fatigue problems. It’s not so much that low white blood cells cause fatigue directly, but this deficiency would be a strong indication of potential infections and immune system issues. If you think of your white blood cells as your defense system against intruders, low white blood cell count indicates that your defenses are weak. It would certainly lead me to check #6, chronic infections, very carefully, but also look for the root cause of the low defenses. Low white blood cells can be caused by serious disease conditions such as cancer, malaria, HIV, tuberculosis, dengue, and more. Absent anything obvious, such as chemotherapy or certain medications, this could also indicate a nutrient or mineral deficiency. Epstein-Barr virus, or EBV, is best known as the cause of infectious mononucleosis, also known as glandular fever or mono. However, it can also be associated with other diseases. Mono occurs most often in teens or young adults and can be diagnosed with a blood test. EBV itself can also be identified with a blood test for antibodies. A small percentage of people who develop mononucleosis can experience ongoing fatigue that lasts a year or more. Treating fatigue is a very satisfying part of my practice, because I’m able to help patients who have sometimes visited many other doctors without success. It’s challenging, because there are many, sometimes interrelated causes of fatigue, but when I work together with a motivated patient to solve this puzzle, we can get life-changing results!